After set-top box, smart TV and smart routers which are expected to transform the living room in China, the emerging Chinese smart device makers began to make portable streaming projectors in order to replace the conventional TV sets which cannot get connected or carry interactive contents or services. Like HiWiFi, one of the first smart routers of its kind, the first streaming projectors also have attracted much attention and strong venture capital interest in China. XGIMI, one of the first streaming projectors that has made much fuss, announced RMB100 million (roughly US$16 mn) in Series A funding yesterday. The advantages with a portable projector over other devices include portability and larger screen size. But unlike the traditional projectors which cost less than big-screen TV sets, the newly emerged streaming projectors are priced much higher than most Android smartphones or even smartTVs. The list price for an XGIMI is RMB3000 (about US$500) while LeTV, a Chinese smart TV maker, now is selling a high-spec Android-powered TV model for less than one third of that. 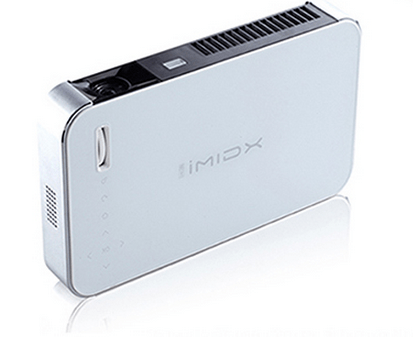 XGIMI, however, claims their streaming projector sells well. Since it debut on JD.com, the online retail site most Chinese smart hardware makers sell their products, less than three months ago, about 50,000 pieces have been sold. It was largely driven by the 2014 soccer World Cup that happened in this summer, according to the company. And there are 500,000 registered users on its online forum, with tens of thousand being daily active, who are potential customers or application developers for XGIMI, the company said. There are so many Chinese tech companies, entrepreneurs and, of course, investors that are eyeing on the Smarthome market. Not long after HiWiFi router was launched, big Chinese tech companies, including Xiaomi the smartphone maker, Qihoo the security software company and Xunlei the download and video streaming service provider, launched me-too routers. HiWiFi got much pressure from Xiaomi, which has been expanding rapidly to many other smart device categories including smarthome appliances. Also Xiaomi’s products may be more appealing to users in the long run, given it’s not very difficult to copy hardware products of the same quality in China, for all the Xiaomi devices will run the same operating system, a customized Android system, that users can access the same contents or services on any Xiaomi devices they own. It won’t be surprising to see Xiaomi to roll out streaming projectors similar to XGIMI or its existing competitor ZECO, as the company has launched a Fitbit Flex-like health band, Pressy-like button, among others, and will roll out more soon. To fight against companies like Xiaomi, HiWiFi has introduced strategic investor MediaTek (or MTK), and came up with a solution for smarthome devices and wearables. XGIMI said, apart from the living room, they also want to get a piece of the fast growing film market in China. But currently there are not many movies playing in theaters that are available on Chinese online video streaming services.